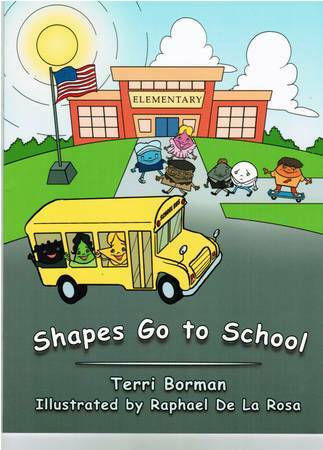 Hi this is Terri Borman, childcare provider and author of “Shapes Go to School.” A book that teaches children about shapes, colors, and diversity. It helps children to understand that everyone is different. This week’s blog is about kids with diabetes still being active kids. 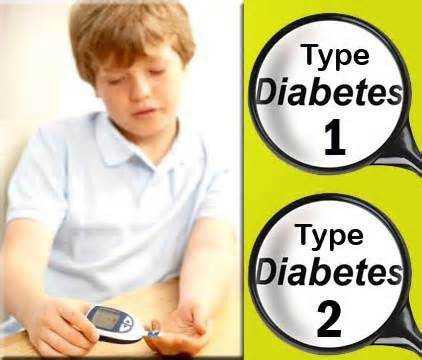 There are two types of diabetes, Type 1 and Type 2. Both types of diabetes involve problems with insulin, a hormone released from the pancreas that allows glucose (blood sugar) to be converted into fuel or energy. Kids with Type 1 diabetes produce little or no insulin and kids with Type 2 diabetes produce insulin, but lifestyle factors such as being overweight, little to no exercise, and poor diet causes the body’s fat and muscle cells to block the insulin from entering. 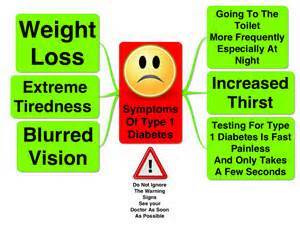 Type 1 diabetes is not curable and can only be treated with insulin injections. Type 2 diabetes is curable with lifestyle changes such as an improved diet and an increase in physical exercise. Kids with diabetes need to be diligent in keeping their blood sugars from getting too high or too low. They do this by testing their blood sugars regularly and balancing when and what they eat and when they exercise with when they take their medicines. These medicines help take the sugar out of the blood causing the level of sugar in the blood to go down. Unfortunately, it’s not as easy as it sounds. There’s no magic pill that kids with diabetes take once a day and they’re good to go. They have to take insulin injections or use an insulin pump all throughout the day and it’s a tricky balancing act. Sometimes blood sugar levels can swing high or low. High blood sugar, otherwise known as hyperglycemia, happens when the body cannot make insulin like with Type 1 diabetes or it cannot use the insulin properly like with Type 2 diabetes and the blood sugar level rises in the body. Some symptoms of hyperglycemia are thirstiness, headaches, not able to concentrate, blurry vision, weight loss, and frequent urination. Long term hyperglycemia can damage the vessels that supply blood to vital organs increasing the risk of heart and kidney disease, strokes, and vision and nerve problems. Some causes of hyperglycemia may be from skipping or forgetting to take your medicine, eating too much food for the amount of medicine taken, infection, illness, increased stress, decreased physical activity, or strenuous physical activity. Low blood sugar, otherwise known as hypoglycemia, can cause severe symptoms that need to be treated right away. Symptoms include headaches, shaking, sweating, fatigue, weakness, hunger, and in extreme cases, coma and death. Long term complications can include heart and kidney disease, glaucoma or blindness, blockages of the arteries in the legs, nerve damage, and foot and skin problems. 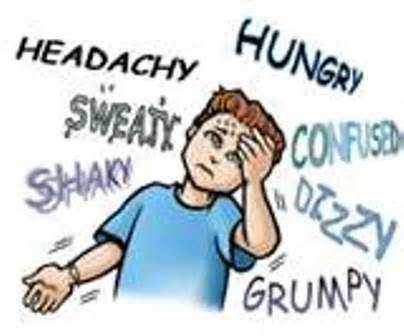 Some causes of hypoglycemia are from skipping meals or snacks, not eating enough food at a mealtime, exercising longer or harder than usual, too much medicine, or not timing the medicine properly with meals, snacks, and exercise. Also there are some factors that may increase how quickly the medicine gets absorbed into the bloodstream. For example, taking a hot shower or bath right after taking your medicine increases the blood flow which can cause the medicine to be absorbed quicker than normal. That’s some scary stuff! Diabetes is something to not be taken lightly. However, kids with diabetes can still be kids. They can excel at sports or beat you at backgammon. Let’s hear from actual kids who have been diagnosed with diabetes. 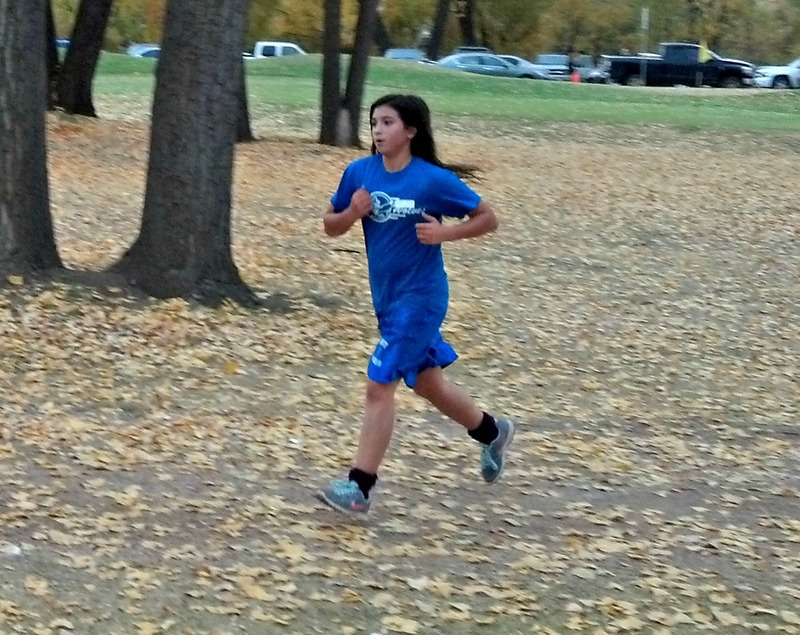 Meet Eva, a 14 year old who loves dancing and running Cross Country and recently she was diagnosed with Type 1 diabetes. I will never forget the 21st of February 2014. The best and worst day of my life. It was amazing because I finally figured out why I was so sick all the time.. (I had every symptom very severely) but it was also a very hard diagnosis to wrap my head around. When they took me to the hospital by ambulance, they hooked me up to all these I.V.’s and crazy things. I just remember my mom crying and my dad busy being very hard to get a hold of.. literally.. he seriously ignored every one of her calls. (I don’t blame him.. she’s a little nuts ha-ha). I texted my sister through everything. She originally told me to go to a doctor because for the previous weeks I had told her all my symptoms but it never crossed any of our minds. In the hospital, they made me pee in trays, carry around a stupid monitor, and even made me fast for 24 hours to determine if I was type 1 or type 2. The worst part? Their nurses smelled like bacon. No seriously, I really just wanted a cheeseburger. I was pretty calm for the most part, until they showed me insulin shots. I grew up watching my dad constantly take insulin shots but never (honestly) really cared. It took about 2 shots before I ripped my insulin pen away from my nurses and did it myself.. I’m better than them anyway. I kept asking when I could get out and eat food and even shop. They just gave me looks like I needed mental help. I stayed in the hospital for a few days and in one word it was: AWKWARD. Everyone just kinda sat there looking at me all day while I whined about not getting water. Not to mention at one point, my dad, my mom, my sister, her boyfriend, my step-dad, my stepsister, my grandparents, and my step grandparents were all in one room at the same time… yeah the entire experience really showed me who really cared about me. This girl I stuck up for once in school visited me with flowers and candy. I never even really talked to her. It was incredible. The day I got out I skipped to the car and begged to go shopping. This lasted for a couple of days. Finally my mom budged and took me shopping. I returned to school a couple days later and a few people cared but one of my “best friends” just looked at me and asked if I did any work on our science project… Yeah, I left my carb free soda spills on the front page… it really shows how many people will really be there if you fall. Anyway, I went to school with my new diabetic purse and everyone stared at me. No, I am not trying to become some weird 20 year old wannabe, I would just rather not carry needles in my bare hands :). Some people were interested and some weren’t which was not good, but not bad. My teachers didn’t know until the next week. They were very understanding and I will forever respect them all because of that. Just like any other teenager, I love hanging out with friends. I am still the same person, just cooler. I mean, how many people can say they take shots to live and actually have a legit reason of it? That’s right, only a few million. I love cross country and dancing. I still do them both, just eating snacks in between so I don’t faint or go into a seizure of low blood sugar. I see this diagnosis as a blessing. I am more educated, grateful for food, and more understanding as a person. What do I do? Type 1 diabetics have an organ (the pancreas) that doesn’t function. The pancreas produces insulin which breaks down sugars in your body. Without it, people die. Pretty simple. When your body stops producing insulin, you have to do it yourself. Type ones take insulin shots. Insulin is a protein that hooks to sugars and maintains your blood sugar. Insulin shots are based on carbs. carbs or carbohydrates are basically sugar in foods or drinks. For me, personally, every 15 carbs I eat, I have to take .5 unit of insulin for .1 unit of insulin is a pea sized drop. That drop makes a world difference. I put the needle on my insulin pen, which really does look like an oversized pen, and inject my insulin in my arms, stomach, or my favorite, my legs. I have to check my blood sugar every three hours or so to prevent hyper or hypoglycemia. To test my blood sugar, I take a strip that has a microchip in it and put it into my Glucometer. I then prick my finger with a tiny needle and draw a drop of blood. I put that blood on that strip and it reads my blood sugar. This determines if I need more carbs, or more insulin. 1)Does it hurt? Nah, the needles are so tiny, you get used to it very quickly! 4)Is it contagious? Uhm yeah! Haven’t you heard?? It’s spreading like crazy!! 5)Can you have that? Yep. I eat everything and I can eat everything. 6)Why diet? Diet soda has no carbs aka no shots aka my bff. 7)What can’t you do now? The only thing I can’t do now is make my own insulin. And fly. Or turn invisible.. but that’s not the point. 9)Did you just say you’re high? For diabetics, high means my blood sugar is through the roof and I need insulin. I don’t do drugs. I take that back. Insulin is a healthy drug, but that’s the only one I plan on taking forever. 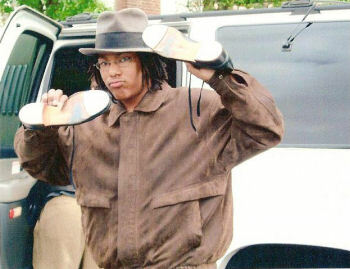 Now meet Alex, a 16 year old who loves traveling and tap dancing and also has Type 1 diabetes. Hello, my name is Alex. I am 16 years old and live in Seattle, Washington. I was diagnosed with type 1 diabetes right before 6th grade. My parents thought that the reason I was losing weight was that I had just gotten braces. At first, I didn’t like all the needles and stuff, but I got used to it. Around 8th grade, I started using glargine and an insulin pen, which was easier than Humalog and NPH insulin by syringe. About a year ago, I got a Deltec Cozmo insulin pump and I like it a lot. It makes traveling a lot easier. My favorite things to do are tap dancing (which I have been doing for about 10 years) and playing music, mostly jazz with my high school’s jazz band. Tap dancing can be pretty strenuous, and it is one of the most efficient ways to lower my blood sugar. I also like traveling. I have been to Italy, France, England, New York City, and Pennsylvania. I have learned a lot about how to adjust my insulin dose when I travel. This summer, my school’s jazz band is going on a European tour including Rotterdam, Copenhagen, Stockholm, and Helsinki. It is going to be really fun. To those of you who have been recently diagnosed with diabetes, I have a few words of encouragement. First of all, you should know that despite all of the needles, you can still have lots of fun. Secondly, it’s important to learn how to take care of yourself especially checking your blood sugar. Finally, once you learn how to control your blood sugar, you can do anything! That’s just about it. Hope to hear from some of you. American Diabetes Association – www.diabetes.org – Offers information on nutrition and weight loss, diabetes research, treatment and prevention, plus information specifically for parents, kids and schools. Children with Diabetes – www.childrenwithdiabetes.com – This privately run site, recommended by the ADA, includes forums, chat rooms, news about research and treatment, and the chance to post questions to healthcare professionals. Joslin Diabetes Center – 800-JOSLIN-1, www.joslin.org – A worldwide leader in diabetes research and treatment. Juvenile Diabetes Research Foundation – http://www.jdrf.org – JDRF funds and advocates for type 1 diabetes research worldwide. The Web site includes a newsletter, pen pal connections for kids and information on fund-raising and research. The Search for Diabetes in Youth – www.searchfordiabetes.org – Offers diabetic kids under age 20 the chance to participate in a six-year study seeking to determine how many kids have each diabetes type, and to investigate complications and treatment. The TODAY Study – www.todaystudy.org – TODAY (Treatment Options for type 2 Diabetes in Adolescents and Youth) is a nationwide study seeking the best treatment options for kids with type 2 diabetes. The site offers links to study sites, and an opportunity to participate in the research. This entry was posted in Uncategorized and tagged children, children with diabetes, diabetes, hyperglycemia, hypoglycemia, insulin, type 1 diabetes, type 2 diabetes on April 13, 2014 by terriborman.